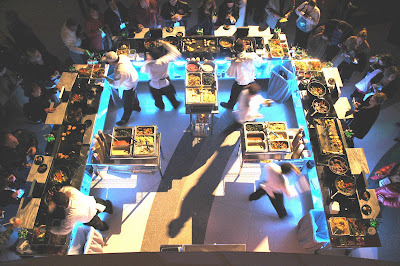 2010 Best Catered Off Premise Event of the Year for DIFFA’s Dining by Design. DIFFA: Design Industries Foundation Fighting AIDS is one of the country’s largest supporters of direct care for people living with HIV/AIDS and preventive education for those at risk. As the event’s caterer, A Legendary Event was challenged to create and serve a menu for 400 seated guests that would be highly memorable and innovative. 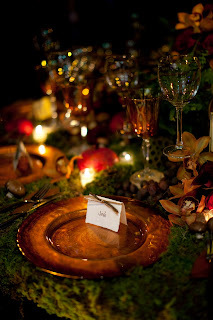 2010 Best Guest Table Presentation of the Year for DIFFA’s Dining by Design. 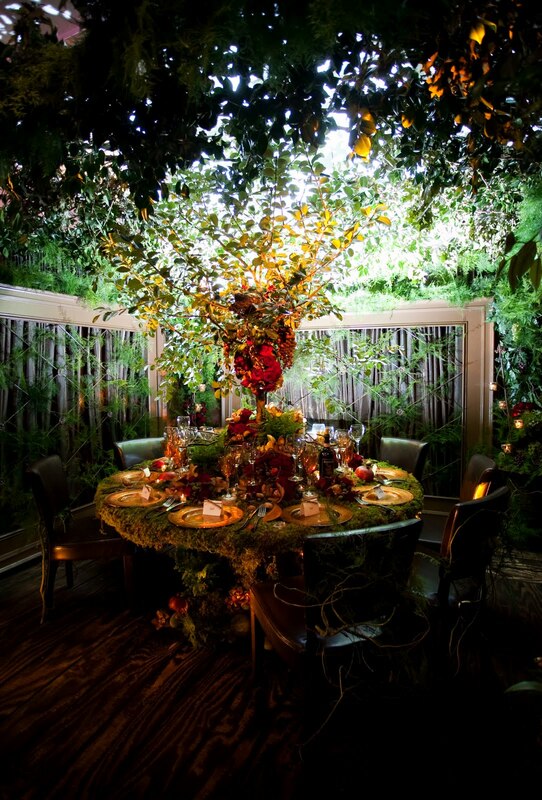 Each year, a group of the nation’s top designers are invited to create a unique table design to help raise funds for DIFFA. 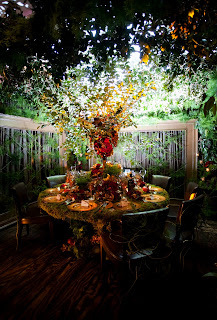 ALE created a table titled “Feast in the Forest”, where guests dined amidst a magical forest, surrounded by lush greenery and a magnificent display of nature at its finest. This entry was posted in Atlanta Caterer, DIFFA, NACE. Bookmark the permalink. Robyn Spizman is the newest member of A Legendary Event’s award-winning company. Spizman, a nationally known New York Times Bestselling award-winning writer and well known media personality, brings more than three decades of communications, public relations and social/corporate event planning experience. Spizman’s extensive background in special events includes launching some of the most innovative first-time ever Galas, fundraisers and interactive events in Atlanta. A native Atlantan, community volunteer and nationally known consumer advocate, she has appeared extensively in the media including repeatedly on The Today Show and Star 94 with Cindy & Ray. An accomplished writer and branding expert, Spizman is the author of dozens of books including Where’s Your Wow? 16 Ways to Make Your Competitors Wish They Were You! She was awarded the USA Today Family Channel Award and serves on the National Advisory Council of the Make A Wish Foundation, the National Advisory Council of The eWomen Network, The Auxiliary of The William Breman Jewish Home and as Camp Twin Lakes Partners Card Ambassador. A well known speaker and creator of TheGiftionary.com, she has spoken at some of the largest conferences in the United States and Atlanta on business trends, sales strategies and success. This entry was posted in A Legendary Event, Atlanta Caterer, Robyn Spizman. Bookmark the permalink. 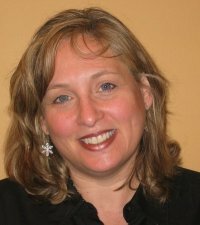 Michele Lend is the newest member of A Legendary Event’s award-winning sales team. 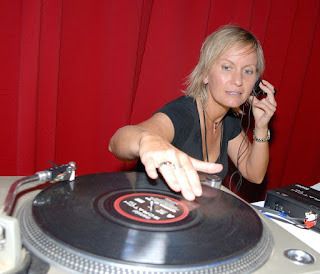 Lend brings with her over 23 years of sales and social/corporate event planning experience. After graduating from Oglethorpe University in Atlanta, Lend began her career in 1982 as the assistant director of food services for Epicure Management Services at the university. Within two years she was promoted to director of food services on the Mercer University campus in Atlanta. Lend then spent four years as the director of sales for the Atlanta Catering Company and an entire decade as one of the top sales producers for Proof of the Pudding caterers based in Atlanta. Lend joined Atlanta Arrangements in 1999 as the director of sales and marketing and became a partner in 2003. She was promoted to chief operating officer in 2006 and to president of the company in 2007. She has had the privilege of working with many Fortune 100 and 500 companies throughout her catering career. Some highlights from her journey have been working with the delegations for the 1988 Democratic Convention, The Nationwide Seniors PGA Tour, The Federation Cup, The AT&T tennis challenge, The Bell South Classic, and the 1996 Olympics in Atlanta. 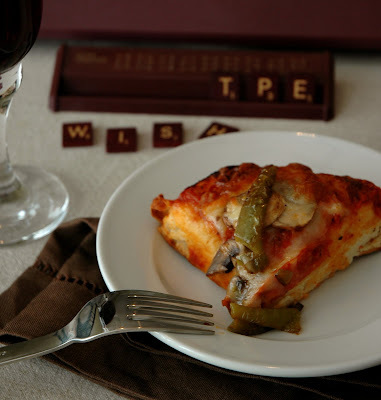 This entry was posted in A Legendary Event, Atlanta Caterer, Michele Lend. Bookmark the permalink. 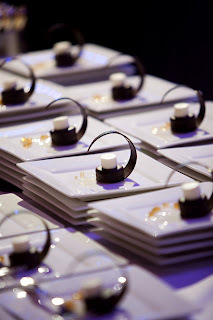 This entry was posted in A Legendary Event, Atlanta Caterer, delta sky magazine, Tony Conway. Bookmark the permalink. Atlanta’s own Ryan Seacrest hosted the “Hearts and Hands” Charity Gala Saturday night to benefit The Ronald McDonald House. Six hundred and fifty guests attended this black tie affair held at The World of Coca-Cola. The Coca-Cola Company was also the presenting sponsor for this exciting new event. “American Idol” season six finalist Melinda Doolittle performed two sets of music to the sold out crowd and A Legendary Event provided the catering and floral décor for this much anticipated event. This entry was posted in Atlanta Caterer, great american teacher award, ron clark academy, ronald mcdonald house, ryan seacrest, Tony Conway. Bookmark the permalink. ATLANTA – (August 6, 2009) The seventh annual Party in the Kitchen, on Wednesday, September 9, 2009, benefits Open Hand, a nonprofit organization that prepares and delivers over 5,000 meals every day to homebound seniors and individuals living with chronic disease or critical illness in seventeen counties throughout metro Atlanta. Open Hand’s Comprehensive Nutrition CareSM program combines these meals with nutrition education, counseling and therapy to help clients prevent or better manage chronic disease. Billed as a “White, Hot, Cool” party, the evening will feature a wide variety of fabulous dishes prepared by many of Atlanta’s best chefs (see below). Guests, who are asked to dress in white, will also enjoy music provided by DJ Tye West, and an exciting silent auction featuring exceptional travel and entertainment packages, fine dining experiences, and many one-of-a kind items. Complimentary valet parking will be provided. Party in the Kitchen co-chairs (pictured l-r) are Open Hand Board members Todd Tautfest and Sally Dorsey and A Legendary Event’s Tony Conway. Party in the Kitchen’s Gold Sponsor is BNY Wealth Management. Silver Sponsors are Ketel One Vodka, Harry Norman Realtors, A Legendary Event and Here to Serve Restaurants. Media sponsors are Atlanta Magazine, Flavors, and Jezebel. Reserved admission is $500 for each Patron ticket and $150 for each single ticket. Tickets may be purchased at ProjectOpenHand.org or by contacting Michelle Duncan at 404-419-3333 or mduncan@projectopenhand.org. 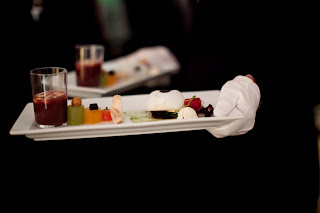 This entry was posted in A Legendary Event, Atlanta Caterer, open hand, sally dorsey, Tony Conway. Bookmark the permalink. This entry was posted in Atlanta Caterer, dj Yvonne Monet, Julie Julia, philip shone. Bookmark the permalink. We’re so excited to be hosting the Julie & Julia Premier this Wednesday at Phipps Plaza. Our Executive Chef Lincoln Stevens appropriately created a Julia Child-inspired menu including Hors d’oeuvres like Vichyssoise and Soup au Pistou and entree selections such as Bouillabaisse de Poulet and Filet de Boeuf Poele. Of course no respectable French feast would be complete without some traditional French sauces, so rest assured, our guests will have plenty of saucy-selections to choose from including creamy Sauce Bechamel and Beurre au Citron. Desserts will be none other than a divine selection of delicate French Pastries. All will be served in our award-winning Kaleidoscope buffet style. If you haven’t seen our chefs “perform” their Kaleidoscope Menu, then you’re in for a real treat. If you’d like to check out the movie trailer before the movie’s official August 7th release simply click on the link below. This is a Nora Ephron film (writer and directed When Harry Met Sally among many other great films) so it’s likely to be a great big hit. This entry was posted in Atlanta Caterer, Julia Childs, Phipps Plaza. Bookmark the permalink. 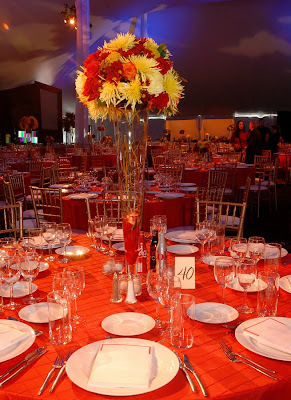 With the opening of new gardens and facilities at the Atlanta Botanical Garden, what better theme for the 2009 Garden of Eden Ball than “Sunrise: A New Day Dawns at the Garden”? The 28th annual event, the Garden’s largest benefit, will be held Saturday evening, September 26 on the Great Lawn in a large tented ballroom surrounded by several gigantic bronze sculptures by British artist Henry Moore on display in the current exhibition, Moore in America. The expansion is funded by a New Seasons Capital Campaign that has raised more than $45 million under the leadership of Jane and Dameron Black, this year’s honorary ball chairs. The event kicks off at 7 p.m. with cocktails in the Levy Parterre, followed by a three-course dinner under the tent. Tony Conway’s full service catering company A Legendary Event will provide the menu again this year under the direction of Executive Chef Lincoln Stevens. Stevens’ menu last year featured lemon poached shrimp, petite demitasse of heirloom tomato gazpacho and Parmesan basil tuile to start; horseradish-crusted grouper and Kobe steak, smoked gouda and goat cheese mornay, truffled gremolata risotto and saffron-braised squash and red carrots as the main entree; and ended with a pomegranate mousse dome for the ladies and a milk chocolate mousse tart for the gentlemen. Multiple courses of sweet & savory haute cuisine are slated for this year’s menu. “This year is sure to top last year’s dinner working with Honorary Gala Chairs Jane and Dameron Black,” states Conway. Drawing more than 450 guests annually, the Garden of Eden Ball supports the Garden’s mission to develop and maintain plant collections for display, education, conservation and enjoyment. For ticket information, contact Jennifer Wyrick at jwyrick@atlantabotanicalgarden.org. This entry was posted in Atlanta Botanical Gardens, Atlanta Caterer, Garden of Eden Ball, Tony Conway. Bookmark the permalink.